Westover Veterinary Centre / Posts tagged "cat"
Tackle fleas and ticks this Autumn! 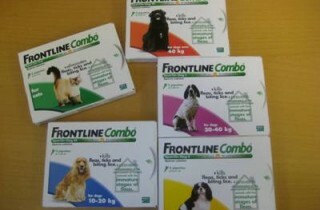 Frontline Combo Offer! Special guest speaker – Josien Woolmer from Merial To book a place call the practice on 01692 403202 or fill in our contact us form. All thanks to a microchip the size of a grain of rice…..
Hunni and her kittens are doing very well. The kittens now all have names – Fonz, Ralph Malph, Ritchie and Joannie. The Cats Protection League are doing a marvellous job in looking after them all. Follow the kittens story so far by reading our blogs. Working at Westover I know how amazing and caring all of the staff are. I have experience of this with my own cat, Mars for so many reasons and I thought you may like to know his story.